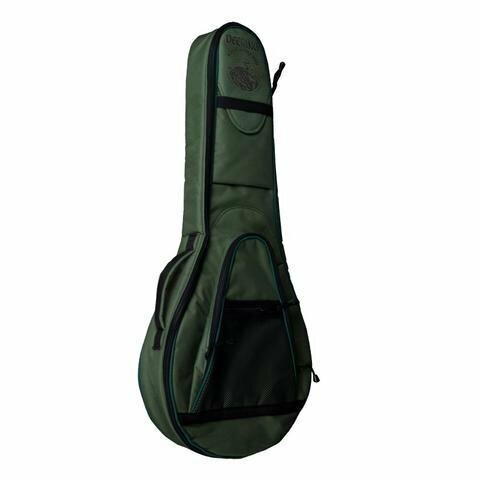 A perfect fit for any tenor banjo, this beautiful green Deering tenor banjo gig bag is well made with sturdy padding to cushion the banjo in travel. It has several storage compartments sewn into it. 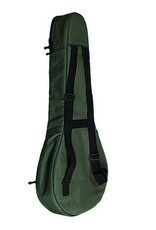 A shoulder strap and a handle make carrying your banjo easy. It will fit in the overhead on most airplanes. 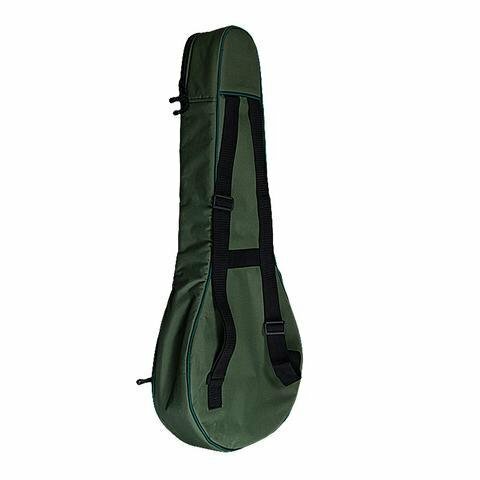 This well made gig bag fits 17 fret tenor banjos, 19 fret tenor banjos, and Goodtime Parlor 5-string banjos as well. 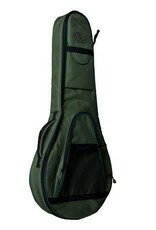 It's a great way to take your banjo with you!